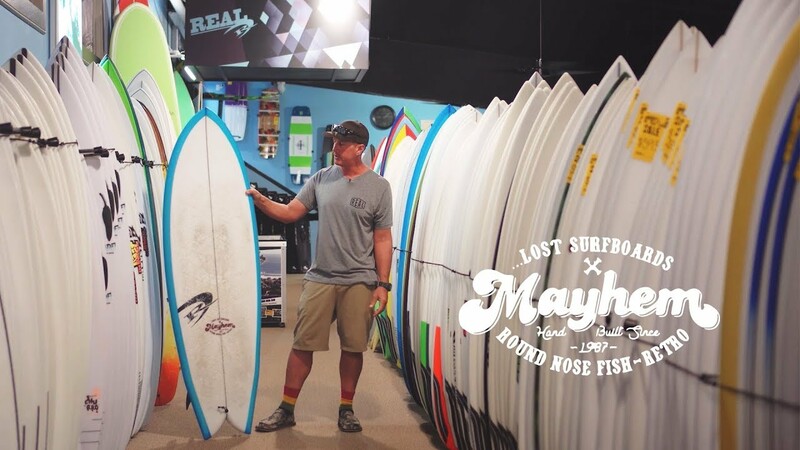 Surfing Surfboards Lost Surfboards Lost Round Nose Fish Retro Lost Round Nose Fish Retro C4 5'7"
Lost Round Nose Fish Retro C4 5'7"
The ...Lost Round Nose Fish Retro takes the original Round Nose Fish and adds retro vibes with an interesting twist. "Like with a snowboard, the sidecut “grips” the riding surface and allows for more radical, tighter radius direction changes on wider, otherwise difficult to turn sharply, outlines and flat rockers." Like with a snowboard, the sidecut “grips” the riding surface and allows for more radical, tighter radius direction changes on wider, otherwise difficult to turn sharply, outlines and flat rockers. The sidecut hooks into the wave face and turns surprisingly sharp, without the usual drift or skip or slip, associated with common wide tail fish shapes. Staying with the fishy retro vibe, the #RNF_Retro features a very flat deck with a defined, steeply angled rail, but tucked under soft into the bottom. The flat deck allows the board to be ridden thinner, which enables more flex. Thin flat decks maintain more scoop in the deck rocker, which when surfed with the rail buried perpendicular into the surface, helps low rocker boards turn in tighter arcs, rather than tracking or flattening out. All these elements are built around our time tested and proven RNF rocker bottom curves. 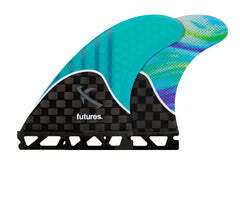 The RNF Retro is flat up front with the slightest of single concave through the center, and a spiral vee from the fins back. 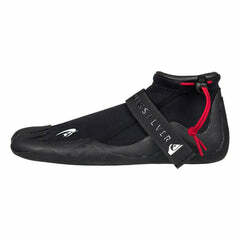 This equates to a fast, yet precise and comfortable, familiar ride, without sacrificing glide. Keels are fast and fun, but split keels perform better. The RNF Retro is designed to be ridden with split keels, or a Twin + two (small trailers) quad setup. There’s no rear fin box on this thing. 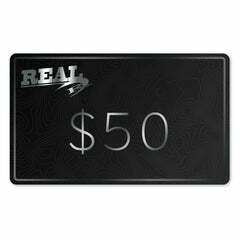 We created a special, subdued, era reminiscent, model specific logo just for this board. The RNF-Retro is built standard with #SonOfCobra designed tints and opaque #Resinworks, for that proper look and feel. The #RNF_Retro is Groovy Smooth Glide Vibe - meets proven Mayhem #Pro_formance. Like a beautiful vintage hotrod, souped up with a modern brand new Engine and transmission, it’s the best of both worlds. Now you can have your cool and rip it too. The ...Lost Round Nose Fish Retro is a new “old” fish design from ...Lost Surfboards. Based on the outline and the name, you’d think it was a Steve Lis style twin fin/twin pin fish. The RNF Retro has that feel, but also has a few surprises under the hood. Plenty of easy paddling and glide, plus a solid dose of performance to boot. The Round Nose Fish Retro can be surfed in a wide range of sizes per rider weight and ability. Surf it small (at your HPSB volume) for good waves or advanced surfers. Surf it at your hybrid volume for all around performance. 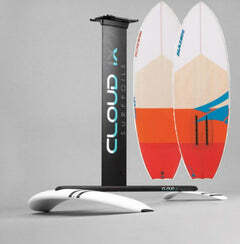 Surf it with more foam for easy paddling, extra glide and max grovel power. The original RNF, and RNF Redux like to be surfed small and normally don’t appreciate extra foam. This one thrives throughout the entire range giving it a much wider sweet spot with regards to sizing. The RNF and RNF Retro are average paddlers, where the Retro is a very easy/fast paddler, again, throughout the entire size range, no matter how much foam you throw at it. The RNF Retro catches waves with ease. It also has some great drive and glide down the line. Duh, it’s retro style fish, it’s gotta have that. Where this board surprises is when you hook it into a vertical turn or a sharp cutback off the top. The ...Lost Pelagic inspired sidecut rail outline and pronounced hip just after it, give this fish after-burners in the turn department. The flat deck transitions to angular tapered rails to give this board good grip at higher speeds in more powerful surf. You can ride it from puny grovel surf up to overhead point waves. The RNF Retro is geared up as a dedicated quad and likes a drivey fin set up like the Futures Controllers or FCS Mayhem Split Keels. 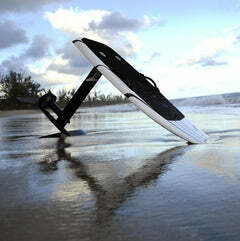 You can also use Twin plus dual quad trailers or larger standard quad fin set ups. 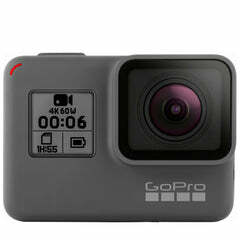 Take a look at our review video to find out more about this board. From the original release, we thought it was a hipster twinny and the ...Lost crew had sold out to the market’s demands. After surfing it, we found this board has much higher performance potential, and is a blast to surf in a wide range of surf sizes and conditions. The RNF Retro side cut outline and pronounced hip give it way more vertical turning, and hard snapping potential than a standard fish. It has slightly less forward linear drive than a more parallel railed classic style fish and is a touch more critical to foot placement to find Mach 11. Guessing this is all based on the sidecut, gotta give a little to get a lot. When you do find the sweet spot, the acceleration is more in line with a HPSB, BOOM you hit hyperdrive. The vertical turning and pivot off the top is very surprising the first time you experience it. Such a good blend of paddling, glide, and HP surfing characteristics. We surfed this board with Futures Seaworthy Controllers. This is a drivey fin set and never felt stiff. 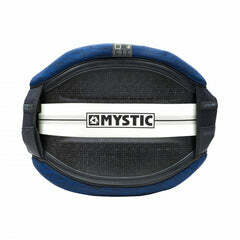 ...Lost also recommends vertical twins (MR style) plus small quad trailers. We’d even think about going with with twin keels plus small quad trailers in waves that required max down the line drive. It’s got plenty of hook so you don’t have to worry about taking too much of that away. Embrace a fin set up that gives you drive, be it any of the above or a quad set up geared towards getting you down the line with speed. You’re curious about the twin fin/twin pin revival, but don’t want to give up vertical turns and throwing buckets. The RNF Retro is a great fish for more aggressive fish surfing with the benefits of added foam, glide and style. Lost Round Nose Fish Retro Carbon Wrap 6'4"
Lost Round Nose Fish Retro C4 5'5"
Lost Round Nose Fish Retro PU/Poly 6'0"